LS signed “W. 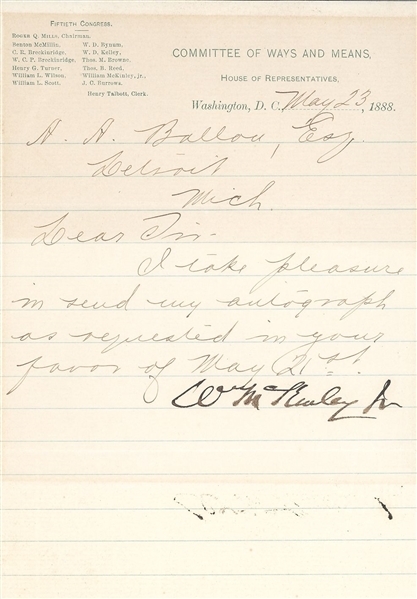 McKinley, Jr.,” one page, lightly-lined, 5 x 7, Committee of Ways and Means letterhead, May 23, 1888. Brief letter to a collector. In full: “I take pleasure in send [sic] my autograph as requested in your favor of May 21st.” In very good condition, with toning to upper and lower portions of page from previous display, a bit of light spreading to portion of signature.